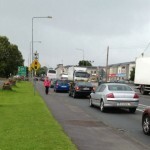 Claregalway enters this autumn in a vein of great confidence with a spate of new developments changing the face of the village over the past few months and with the M18 to open on September 27, there are hopes that at last the village will lose the name of being a traffic bottleneck. 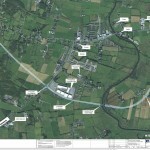 The new Coláiste Bhaile Chláir has been completed and the associated roadworks near it have altered the look of the village, and plans to expand the educational campus have been lodged. The winding narrow road down to the community centre has been replaced by a new modern road with excellent lighting and pedestrian facilities. New sets of traffic lights and pedestrian crossings will ensure that the hundreds of pupils who will use it every day will do so in safety and comfort, although there are some rumblings on how these will impact on traffic in the area. How wonderful it is to hear the sights and sounds and smells emanating from the varied events at one of the oldest venues in the region. How wonderful it is to see light from its windows as you travel through the village at night, especially for those old enough to remember it as a ruin less than a few decades ago. With a fine selection of shops, hotels, cafes, and eateries, Claregalway is on the up. And the good news is that there is much more to come as soon as these developments are complete. Local politicians are being lobbied to ensure they finally deliver the much needed playground. 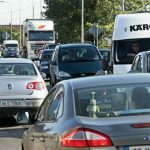 With work continuing on the M18 Tuam to Gort motorway with completion due inside the next three weeks, traffic through the village is set to decline. With the best of all worlds for residents in terms of access, facilities and fun, one can see why Claregalway is a truly happening place that has worked hard to develop itself. In this regard, it shares the Advertiser’s buy local ethos that by keeping your business in Claregalway, you are keeping Claregalway in business. 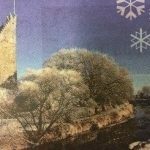 Claregalway is a model for other villages to follow – despite adversity such as traffic and flooding, it has worked hard over decades to build a quality of life while maintaining the village feel. For that, it deserves the support of us all this autumn.